**First of all, correct me if this study of Rumah Kelantan had mistakes in it. 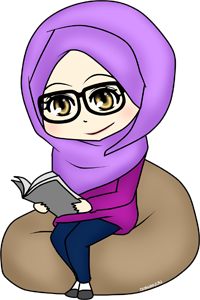 We in a group of 7 had been given a task to do a study about Rumah Kelantan for our History of Architecture 1 subject, so here are the compilation about what we got for the study. Kelantan architecture is heavily influenced by the architecture of Siam brought by traders through Sungai Golok. Due to the lack of influence of the West, the progress was very slow. Rumah Bujang or also called single house is the simplest house made by normal and poor Kelantanese people. It is said that Rumah Bujang was the earliest house inhabited by them in Kelantan. Meanwhile, Rumah Tiang Dua Belas (Twelve Post House) was built by the rich people and for the elite. Intricate carvings in the wall symbolize the high status of the owner of the house. The ownership pattern implies the fact that the feudal system was practiced by the people of Kelantan long time ago. The architecture of both does not differ greatly. The Rumah Tiang Dua Belas is found in several villages and in Kota Bahru and aged 100 years. The Houses however are becoming extinct. Rumah Bujang consist of 6 main post while Rumah Tiang Dua Belas consist of 12 Main post without including other supporting column. 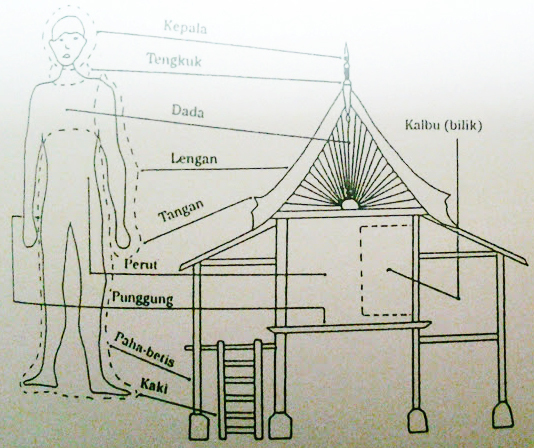 Kelantanese house use human body as a symbol in building their house. 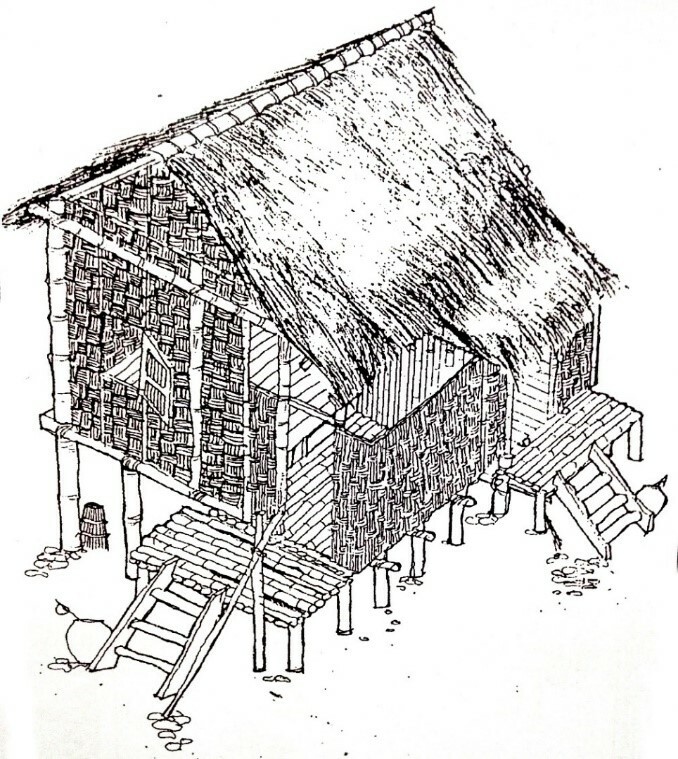 This type of house is a general term for the people of Kelantan, which refers to the type of house that has inverted V-shaped roof layer. 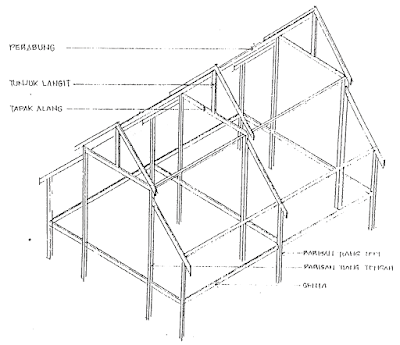 Built as a simple building that can be seen in terms of the division of space and materials of construction. 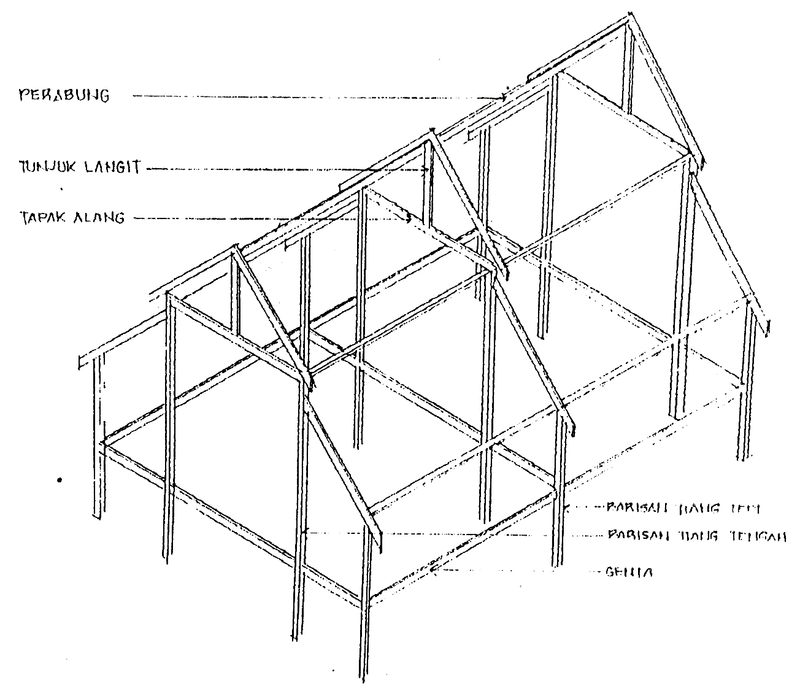 Structural arrangement of the Rumah Bujang. 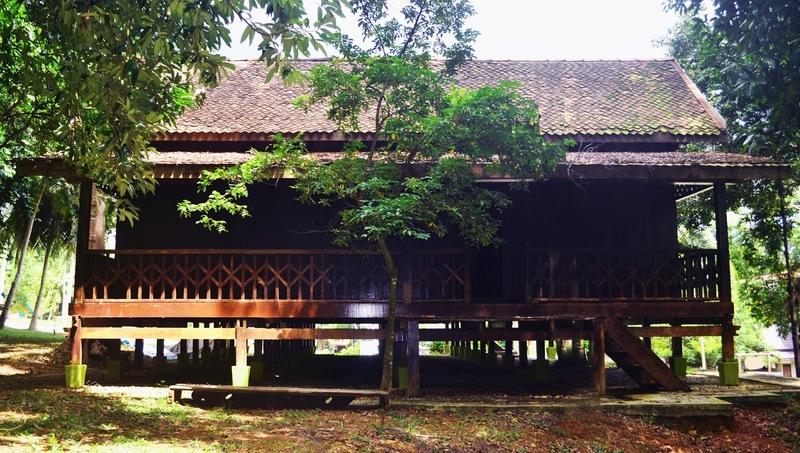 This particular traditional house consist of 12 main post for the main house. 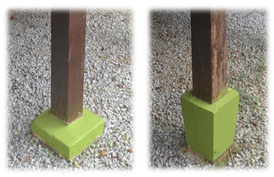 6 verandah posts and 6 long posts. Therefore it is called Twelve Posts House. 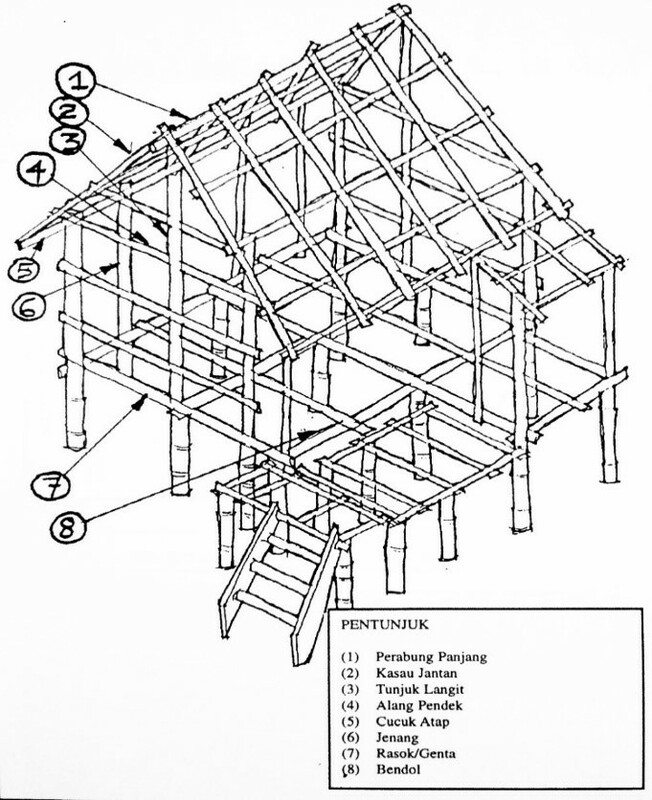 It has a long roof where the ‘tebar layar’ (gable end) are fixed with ‘papan pemeleh’ (fascia boards). 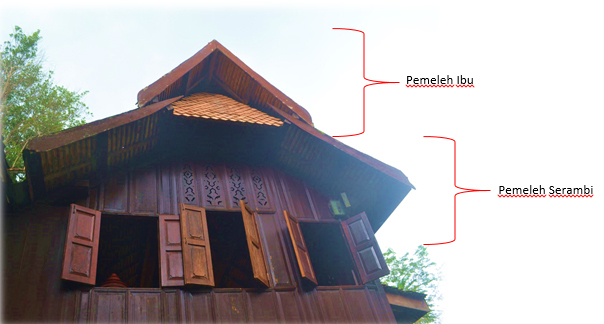 The top pair is called ‘pemeleh ibu’ (main fascia ibu) and the bottom pair is called ‘pemeleh serambi’ (verandah fascia board). The twelve Posts house in its original form is made up of three main sections. That is, the rumah ibu (main house) which has serambi (veranda), the rumah tengah (central section) and the rumah dapur (kitchen). The central section and kitchen are not sub-divided into rooms. Anjung is a Malay term that refers to the space fusion (external and internal space) in Kelantan traditional Architecture. Named after the great responsibility of a mother who plays an important role in the house. Acts similarly to the living room found in the modern day. Place for resting of the whole family & function as welcoming guests. Divided into 2 parts, 1 part for cooking and the other part for eating place for the whole family and close guests. 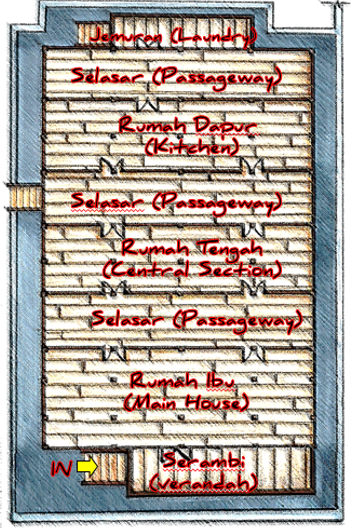 Cannot be used for guests with higher status in which their place to eat is at the living room in Rumah Ibu. Connection in between spaces in the house & place of gathering on a normal day for the family to rest and socializing with each others. There is also the wet floor are or unroofed passageway that divides the main house from kitchn. If this are is fitted with a roof, it is then called a selasar. Unroofed space connected with selasar (passageway). Place for drying clothes, paddy, asam gelugur (dried tamarind), fish, tapioca. Also act as resting place as it is an open air. 3.0.3 Photographs of the Twelve Posts House in Melaka. The roof provide shading from the sunlight also act as the ventilation and protect the occupant from heat and rain. It has a steep and tiered roof with curved gable ends. The tiles are made up of singgora tiles. Almost all twelve posts houses in Kelantan have roofs made from atap singgora. 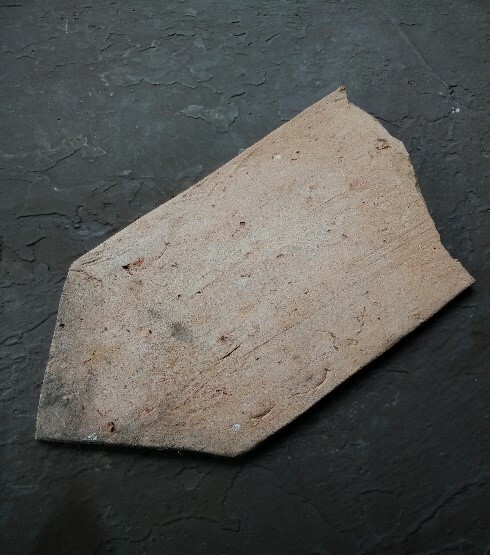 The tiles were imported from Senggora in Southern Thailand. Some however, are made in Kelantan itself. Walls made out of woods with carvings engraved on it. 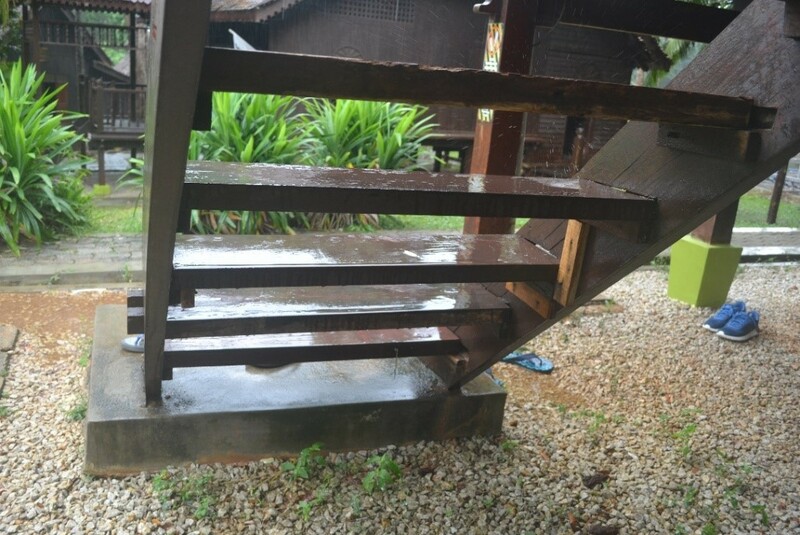 The stairs are made out of wood with a concrete pad on the bottom of the front house. This type of house used pad foundation. 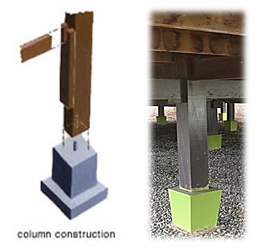 The wooden columns are supported by the concrete stump. 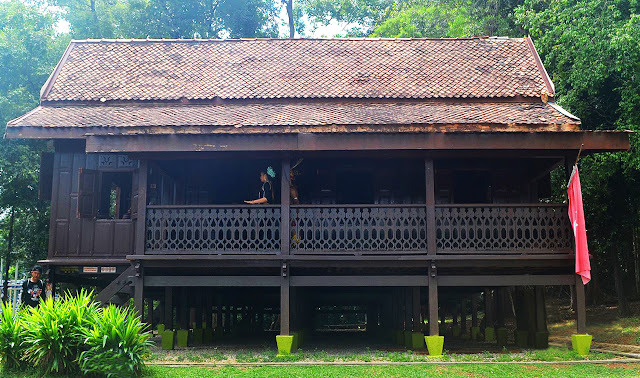 Similar to other Malay traditional houses, the Kelantan house also relies for its strength on a complex jointing system made rigid by the use of timber wedges. This jointing system enables the house to be disassembled easily and reassembled elsewhere. 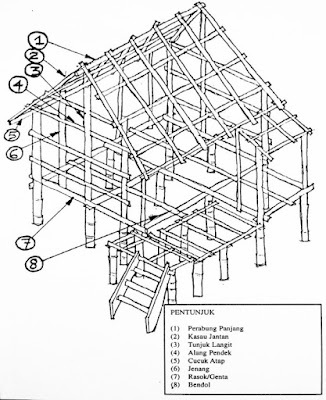 The Kelantan traditional house, like other Malay traditional houses is also built off the ground using the post-and-beam method. They use mortise and tenon jointing system with timber wedges (Baji) that allows the house to be easily taken apart and reassembled. It help to connect the structure. Most of its jointing doesn’t need a nail or screw. 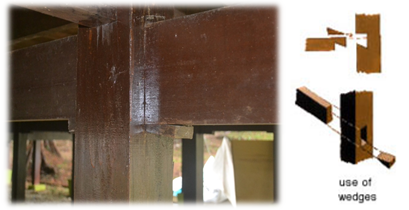 Bendul in English means specially designed wooden beam. The beam (bendul) is one of the elements in a Kelantan traditional house that secures the structural framework of the house. Without the beam, the pillars would not be stable. The beam also has other functions which are to encircle the house and to separate the different portions of the house (verandah, main house, passage way and kitchen). 1. Muhammad Afandi Yahya. (1995), Simbolisme Dalam Seni Bina Rumah Kelantan, (1st ed.). Malaysia: Dewan Bahasa & Pustaka. 2. Mohamed Anwar bin Omar Din & Mohd. Ghazali Addullah (1997), Rumah Tradisional Melayu Kelantan, Kuala Lumpur: Kementerian Kebudayaan, Kesenian dan Pelancongan Malaysia. 3. Abdul Halim Nasir & Hashim Haji Wan (Wan. 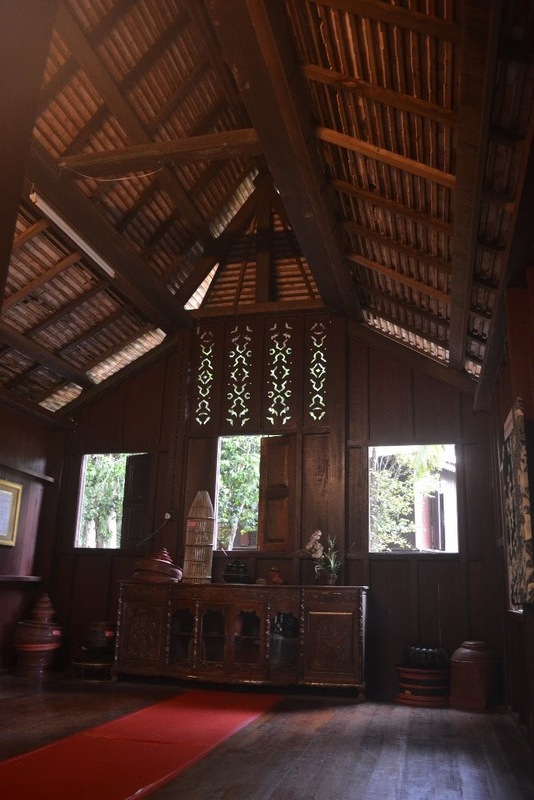 ), (1996), The Traditional Malay House, Fajar Bakti. ahahaha..sy pun x kan tau kalo x kena stdy bnde ni..
salam. saya nak tanya. 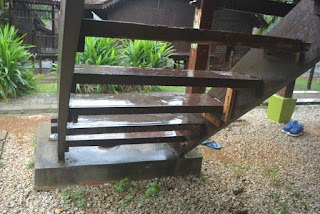 rumah kelantan dgn terengganu sama ya ?